Enzo is using Smore newsletters to spread the word online. Is it Science Fiction or Non-Fiction? 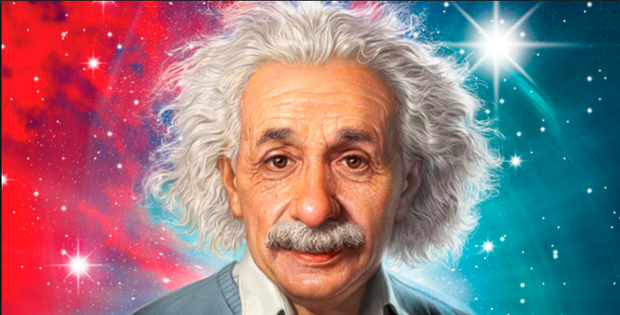 To many people time travel is a fantasy, or simply a dream but many physicist have had plausible theories of time travel like Albert Einstein and his theory of relativity. Technically traveling to the future is possible right now because of time dilation. Time dilation or gravitational time dilation just means that time is slowed down by gravity. Because of this astronauts are time travelers. If you were to go up into space in a satellite with a clock, each day you would gain 38 microseconds on the clocks as opposed to a clock on earth because you have less time dilation. This actually proves Einstein's theory of relativity because this shows time is not the same everywhere in every condition, time can vary depending on where you are in space-time. I know this sounds pitiful-going forward in time not even a 0.0001 of a second-but to go forward in time to an extreme you would need to move almost as fast as light. Is it Possible to Move at Such a Speed? We've determined that it was possible to go ahead in time and age a little slower than your friends on earth but what about ten, twenty, even one hundred years in future. This might seem like an impossibility but there are many theories, here are some of my favorites. I mentioned at the end of my last paragraph that you could move forward in time to an extreme by moving almost the speed of light. The reason I say almost is because it is impossible to move faster than light, the speed of light is-simply put-the universal speed limit. The speed of light is about 186,000 miles per second. If you were to go on a train that traveled almost the speed of light and orbited around the earth one week on that train would be 100 years on earth because time is slowing down on the train so that no one breaks the speed of light so while clocks on earth are moving normally the time on the train is extremely slow. This is my favorite theory but there is another theory that has to do with the equation E=mc2 which is saying that mass is equivalent to energy. Based on Einstein's theory of relativity, Dr. Mallett, a Uconn physics professor for 30 years, writes in his research on time travel in 2000 in physics letters “Einstein showed that mass and energy are the same thing,” said Mallett,“The time machine we’ve designed uses light in the form of circulating lasers to warp or loop time instead of using massive objects.” This proposition is a huge relief considering other implausible theories such as worm holes, black holes, and cosmic strings-which all require an infinite amount of mass. You've heard me talk about ways to travel forward in time the real question is... can you go back? Many people have dreamed of going back in time like Marty McFly in Back to the Future, but the sad truth is traveling back in time is virtually impossible because so far there are no plausible theories and if you were to go back in time you would end up in a parallel universe. The reason it is thought that you would end up in a parallel universe is because every physical object and thought can't go back to the way it was in the past. While when going forward everything on earth moves and passes by normally. Although there are impossible theories there has been a countless number of books and TV shows about time travel that go back far before you could possibly guess. TV shows like Doctor who and Time Tunnel have been on for a long time but these are not the first form of time travel entertainment, these came in books. 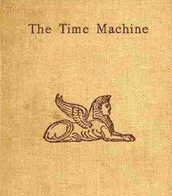 The first time travel book wasn't The Time Machine by H.G. 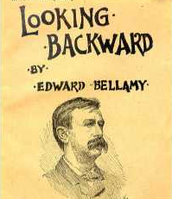 Wells (published in 1895) it wasn't even Looking Backward by Edward Bellamy (published 1888) the first time travel book is thought to be a book called Predki Kalimerosa: Aleksandr Filippovich Makedonskii (The Forebears of Kalimeros: Alexander, son of Philip of Macedon). This 1836 novel is thought to be the first piece of original Russian time travel literature and the first novel to use time travel to go back in time and use time travel in general. 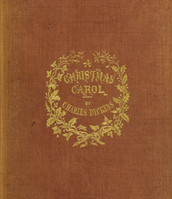 The next book I am going to talk about is a book that you might have heard about it's called A Christmas Carol by Charles Dickens. In A Christmas Carol the protagonist, Ebeneezer Scrooge, is visited by three ghosts two of which are the ghost of Christmas past and the ghost of Christmas future. Because of these two ghosts putting him in a future and past universe this book is thought to be the first book that speaks of going forward and back in time. The point of all of this talk is that going back in time is a big subject throughout history even though it can't be done. This just shows that us humans love to look into the unknown and believe what's impossible. One day, maybe not today we will find out a way to go travel through time and explore the unknown. 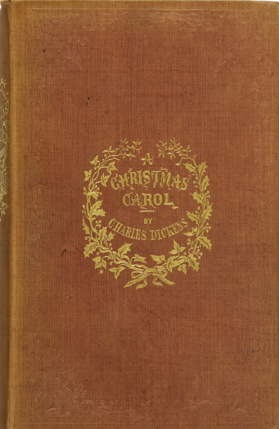 This is the first edition cover of Charles Dickens most famous book A Christmas Carol. 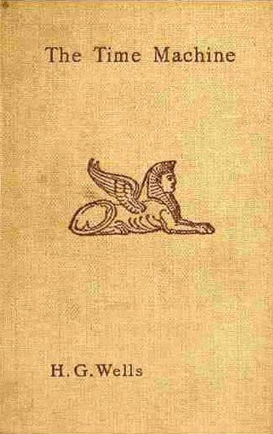 This is the first edition cover of H.G. Wells book The Time Machine. 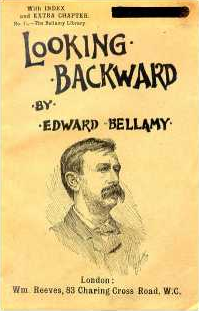 This is the time travel book Looking Backward by Edward Bellamy.